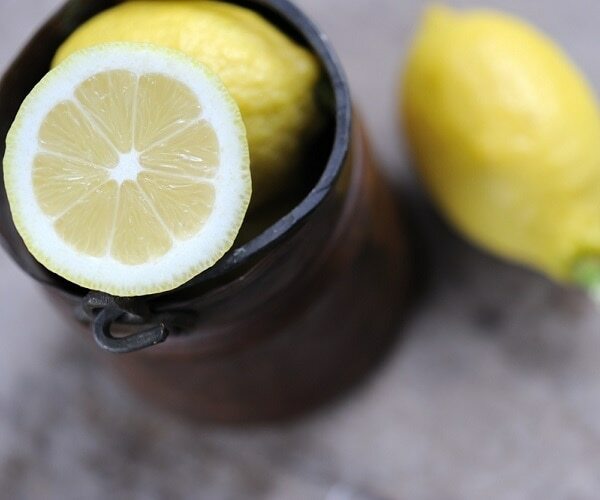 It’s one of our least favorite rooms to clean, but it’s also one of the most important, which is why the bathroom is part 4 in our Home Hacks Series. 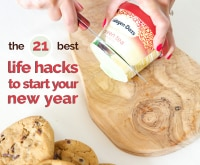 Make your bathroom less of a mess and more like a spa with these quick and easy tweaks. 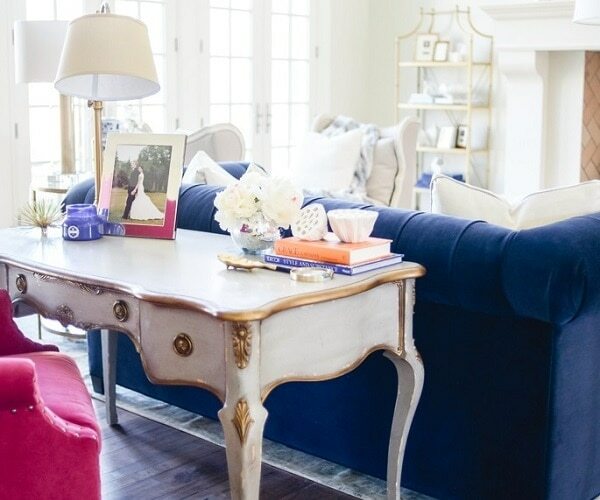 You don’t need major construction or a massive shopping spree to get this essential room neat, tidy and aesthetically pleasing. 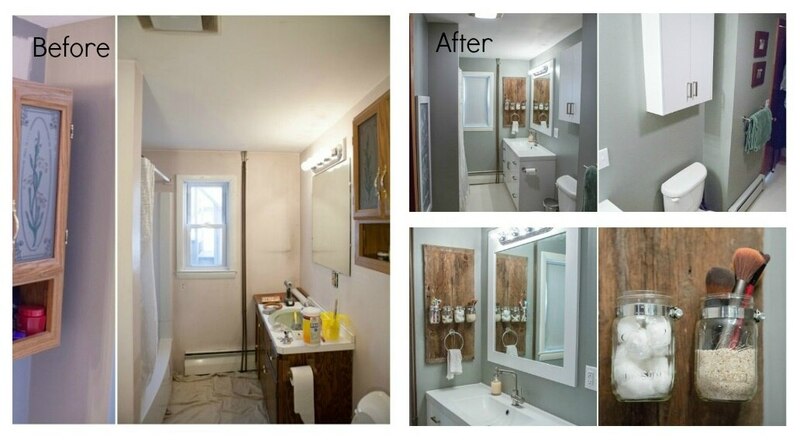 Just use our before and after #homehacks tips to organize your bathroom, which will in turn create basic storage options with just a bit of creativity. 1. Store hair accessories in travel containers. All those little hair accessories, from bobby pins to hair ties, can be hard to keep sorted. Travel size containers can be used to keep these little knick knacks in order. Not all hair items will fit in them (such as barrettes or headbands) but if the smaller items are in containers, they’ll be easy to keep tidy. 2. 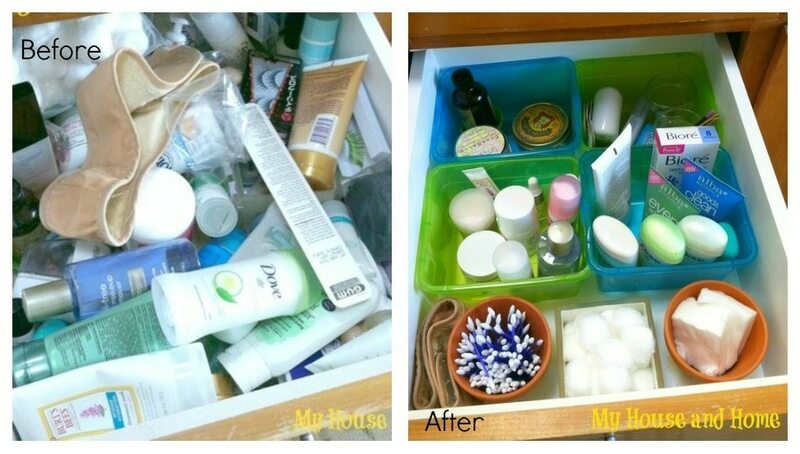 Clean up under the sink with a sliding organizer. 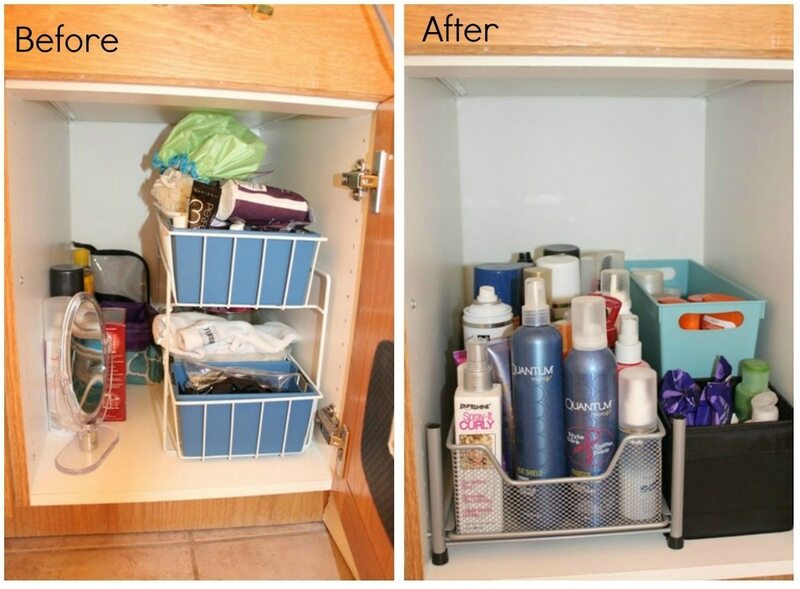 Instead of cluttered and non-visible storage, use a slide-out mesh basket (like this one) to stash goods under the sink where you can see and access them easily. 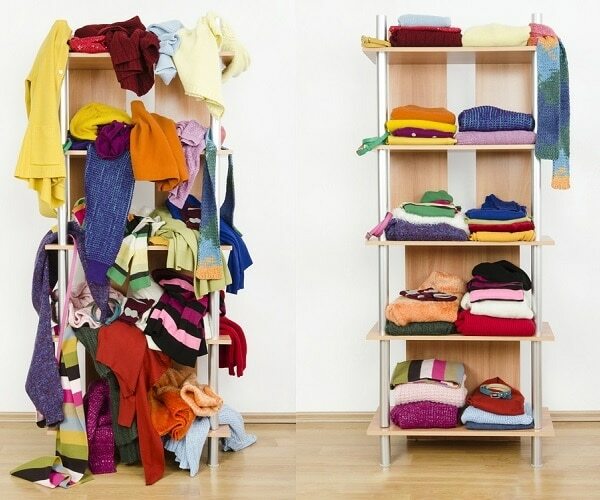 If you only keep what will fit inside, you’ll be forced to avoid clutter. 3. Stash bath toys in baskets. 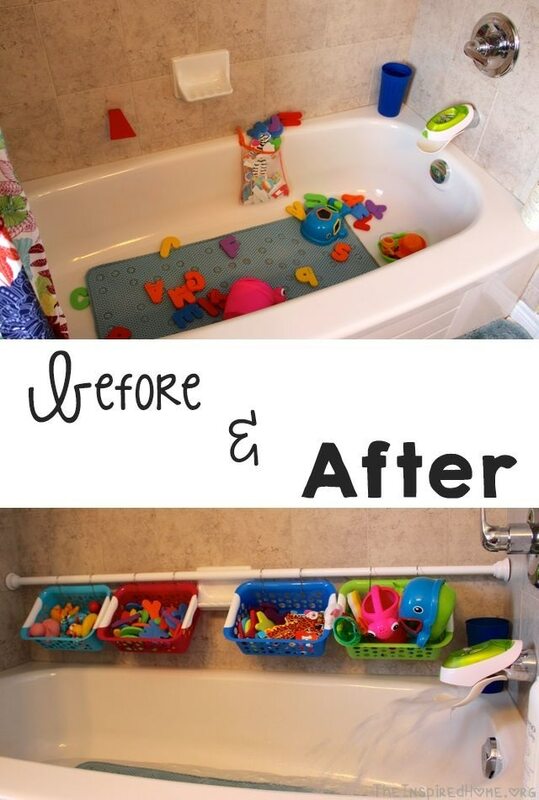 Bathtime should be fun, but when it’s over you need somewhere to stash all those toys. 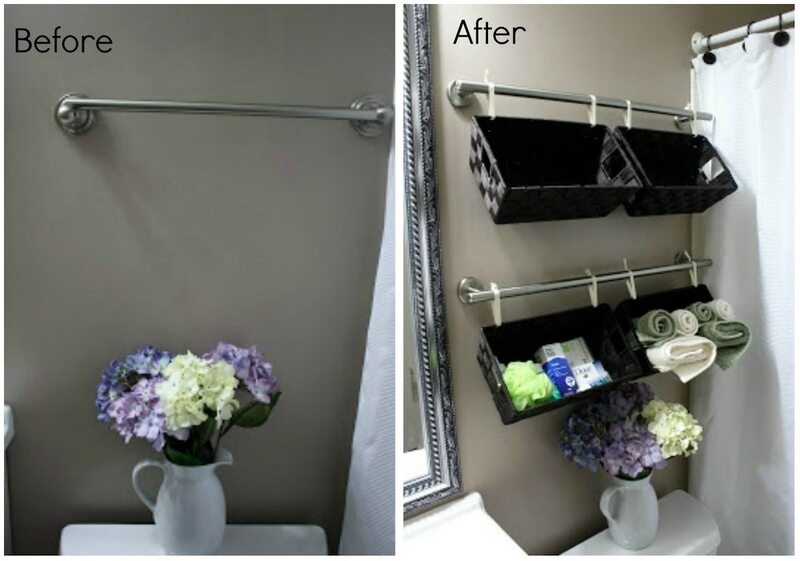 Install a shower rod along the back wall of your bathtub, then attach baskets with shower hooks. 4. 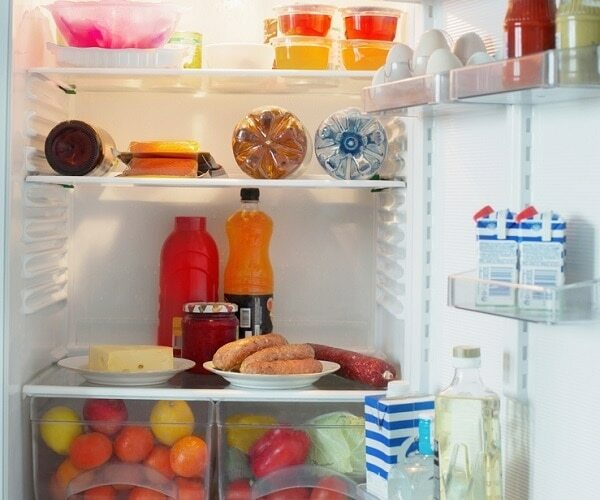 Streamline your medicine cabinet. 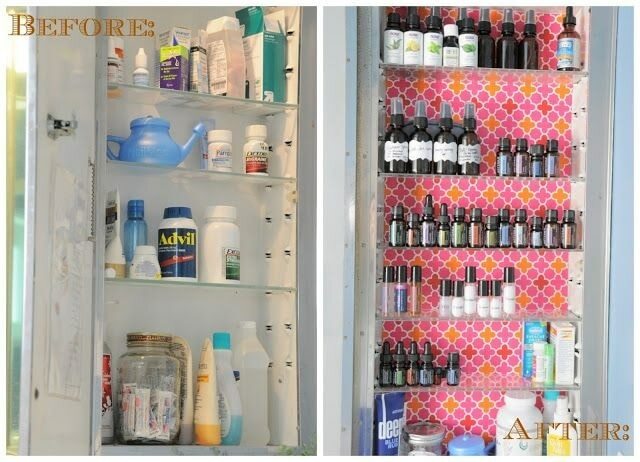 Use colorful patterned wrapping paper to prettify the background of your medicine cabinet, then organize it by placing items in matching containers with custom labels. The cabinet shown here is stocked with essential oils, but you could take this approach with your usual beauty and medicinal essentials as well. 5. Put shower essentials in matching bottles. 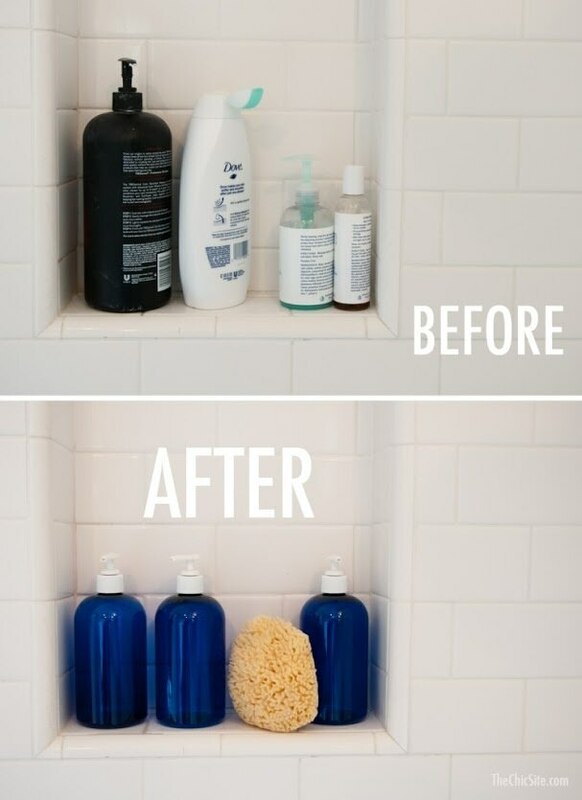 Take a similar approach to your shower essentials, putting shampoo, conditioner, and body wash in matching blue bottles. The visual appeal will make your morning shower feel a bit more luxurious. 6. Keep toilet paper rolls in a basket. Avoid running out of toilet paper, but without the ugly clutter of rolls sitting on the floor or on top of the toilet. 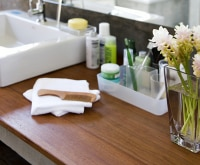 A basket on the side of the sink looks chic and is perfect for stashing this bathroom necessity. 7. Hang towels on a ladder. 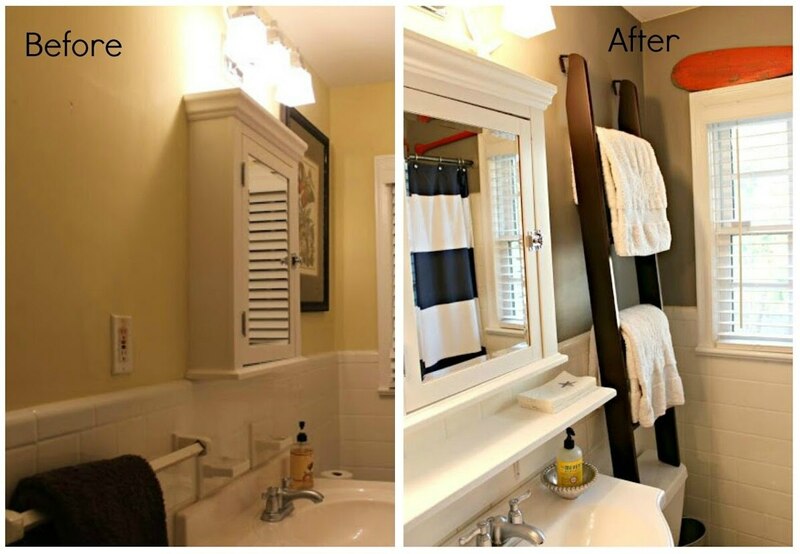 An effective way to hang a bunch of towels in a small amount of space: use a ladder! Simply prop it against the wall and use each rung as a hanger. 8. Organize drawers using bins and flower pots. 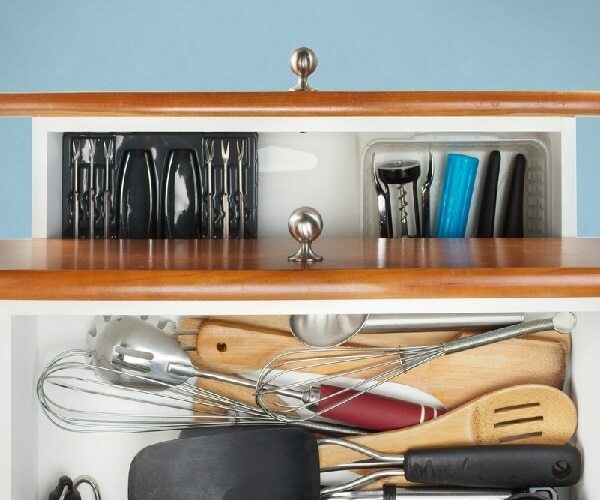 The best way to avoid drawer disarray is to break them up into smaller areas. Dollar Store bins and flower pots do the trick. 9. Hang baskets above the toilet. 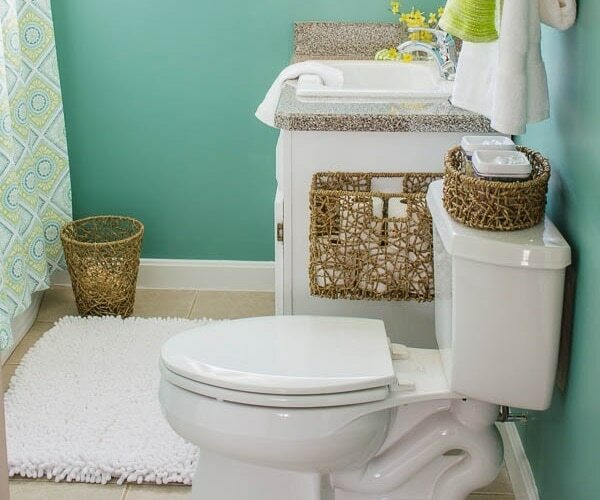 Make good use of the space above your toilet by adding a DIY basket hanging. 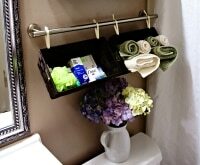 Simply hang them from towel bars using ribbons, and stash bathroom accessories like face towels and body lotion. 10. 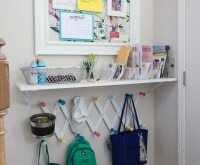 Use mason jars for wall storage. 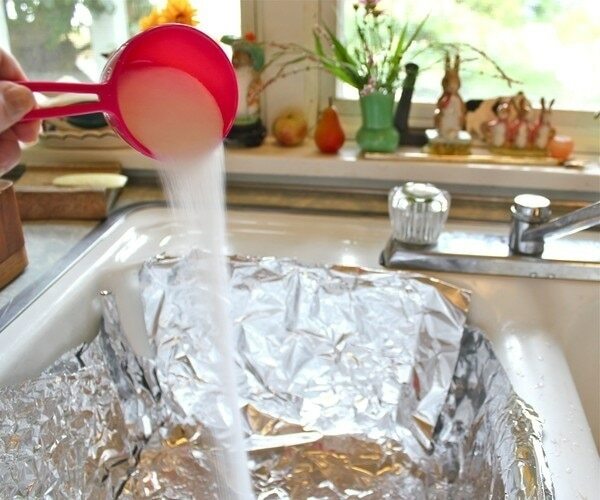 Don’t waste sink space on storage. Use hose clamps to secure mason jars to a board mounted on the wall. 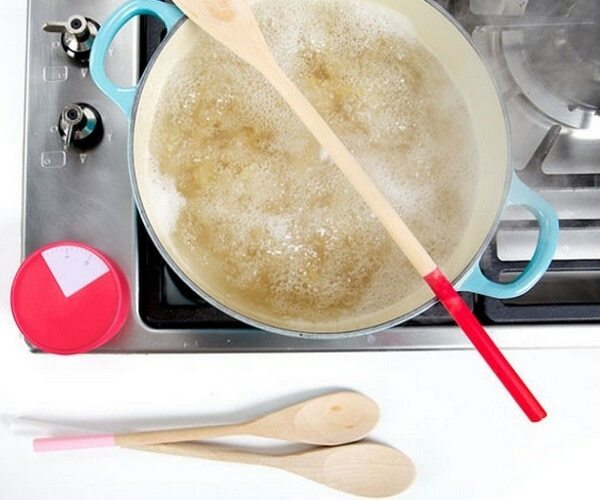 Perfect for stashing your toothbrush, makeup brushes, and nail scissors. You bathroom should be a sanctuary, not a source of stress. 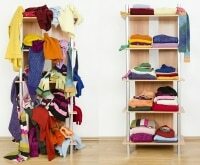 It’s all about proper storage and organization, which is easy to achieve with little fixes. 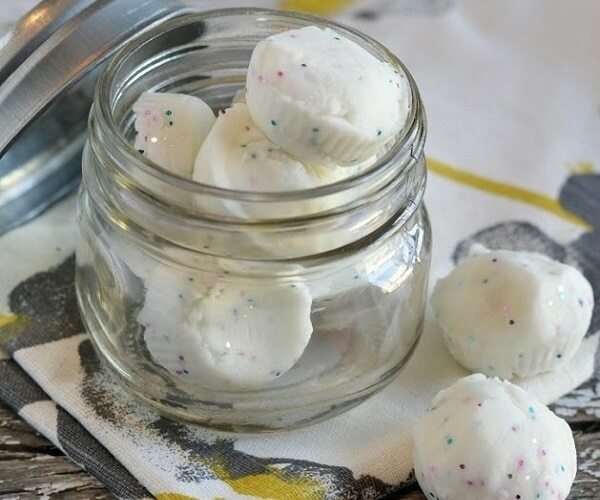 So put this baskets, bins, and jars to good use and you’ll be in bathroom bliss in no time. How exactly does putting shampoo and conditioner in the same type of bottle get me organized? I think it’s more for looks than organization.